PIC/S Annex 1 was recently updated in January 2017 and, under the Clean Room and Clean Air Device Monitoring section, the recommended limits for microbial monitoring of clean areas during operation have remained intact since 2003. A one cubic meter sample volume is still required using an air sampling instrument for active air sampling (see Table 1). Even though these requirements have remained the same from a GMP point of view since 2003, there are still many companies receiving FDA 483 letters for lack of microbial monitoring using air samplers. This is alarming, as colony-forming unit (cfu) results dictate the release/hold decisions of product batches and are a reflection of product quality. 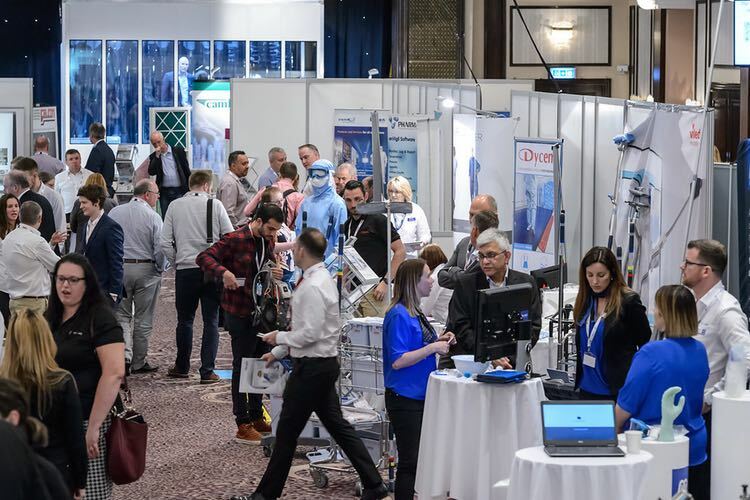 There are many more with the same theme and with that in mind this article is dedicated to increasing the understanding of active air sampling technology, to help decision makers make informed choices when reviewing the many makes and models currently available on the market. What is air sampling impaction technology? Aerosol impaction air samplers are designed to have a sharp cut-off curve1 and is the process in which particles are removed from an air stream by forcing the gases to make a sharp bend. Particles above a certain size possess so much momentum that they cannot follow the air stream and strike a collection surface, such as a media plate, which is available for later analysis of composition after an incubation period. It is important to understand that not all air samplers have the same physical abilities in particle impaction capture. 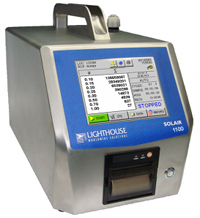 Most readers will understand that a particle counter used widely in Environmental Monitoring programmes has a set resolution based on the smallest particle size it can physically detect. The same holds true for air samplers as they have a limitation on the size of particles that will impact on the media. For air samplers this resolution is based on many physical factors that will be covered in this article but first it is necessary to take a closer look at ISO 14698. Why is ISO 14698 so important? 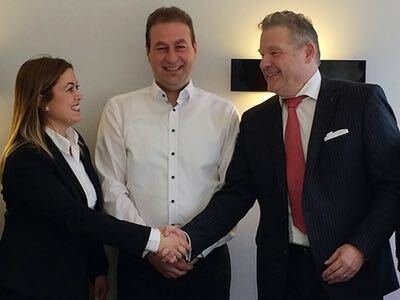 With these significant revisions under discussion the scope of air samplers increases significantly and so it is important to make informed decisions when selecting the right model for your application – something that ISO 14698 Annex A has required since 2003. 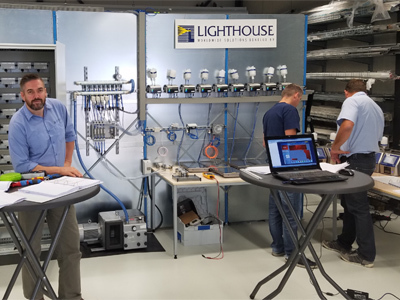 Eager salesmen may suggest that faster air sampling is the best option because it saves time, but a key question to ask and to verify should be – is that model sufficient for my process? Two main properties of an air sampler effect the instrument’s ability to capture and assist in incubation of the captured particles on a media plate. 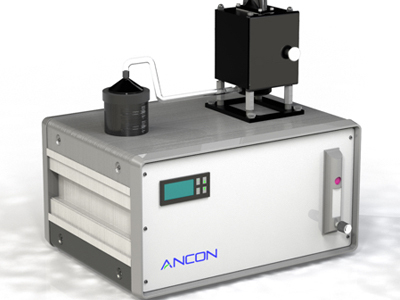 Physical Efficiency2 – the ability of the air sampler to collect various sizes of particles. This efficiency is the same whether the particle is a micro-organism, carries a micro-organism or is an inanimate particle. Physical efficiency is based on many factors and the sample head geometry and air sampler internal design, including the media height, even environmental conditions will influence physical efficiency. Biological efficiency2 is the efficiency in collecting microbe-carrying particles. Biological efficiency will be lower than physical efficiency for a number of reasons, such as the survival of the micro-organisms during collection and the ability of the collection medium to support their growth. 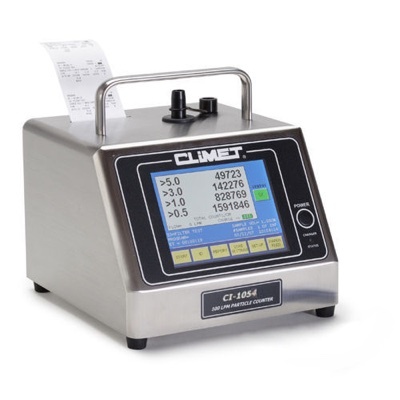 One of the most fundamental selection criteria is the resolution of the air sampler which can be equated to what is known as the d50 cut-off point. 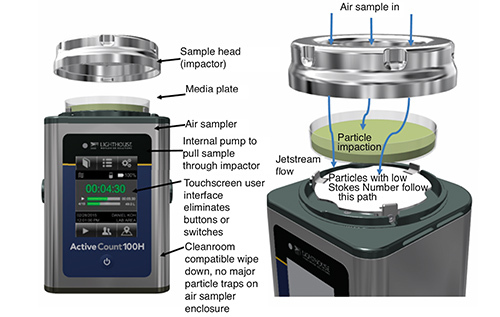 A particle counter in pharmaceutical applications must count 0.5µm and 5.0µm particles as a minimum. 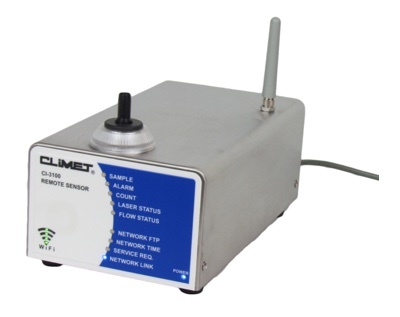 Therefore, whatever model is selected, the particle counter needs to meet that requirement. Its ability to capture particle sizes of interest, becomes a critical factor, particularly when one considers that a single rod bacterium diameter can potentially be as small as 0.3µm. It is therefore important to select an air sampler with the right d50 (resolution) and ability to collect the smallest particle size physically possible, to ensure confidence in the results obtained and in the product batch released. The d50 is based on particles greater than a certain aerodynamic size collected on the media plate (normally 90mm dia. plates are used) and particles less than that size passing through the air sampler. Fig. 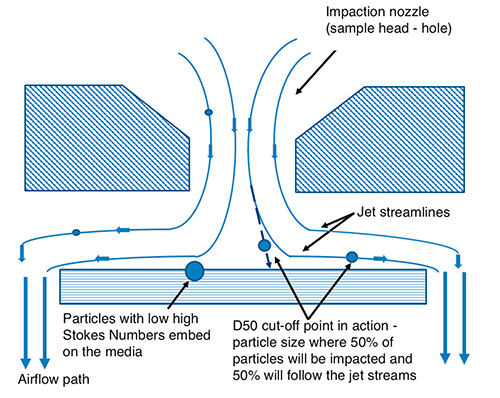 1 provides a good overview of particles entering an impactor (sample head of air sampler) and the fluid dynamics as well as the flight path of various sizes of particles following the jet stream as it follows the airflow path. where: t0 is the relaxation time of the particle (the time constant in the exponential decay of the particle velocity due to drag). u0 is the fluid velocity of the flow well away from the obstacle. l0 is the characteristic dimension of the obstacle, typically its diameter (Fig. 2). Most well-designed impactors can be assumed to be ideal and their efficiency curves characterised by a single number StK50, the Stokes Number that gives 50% collection efficiency1. StK50 is the location of the ideal cut-off curve that best fits the actual cut-off curve. A particle with a low Stokes Number follows fluid streamlines, while a particle with a large Stokes Number is dominated by its inertia and continues along its initial trajectory. The d50 is the 50% cut-off particle size where 50% are likely to be impacted and 50% are likely to pass through the air sampler. Hence the d50 can be seen as the resolution of the air sampler – the smallest particle size that can be physically captured by the air sampler. Readers with a physics background will recognise that the Reynolds Number comes into play here. The Reynolds Number is the ratio of inertial forces to viscous forces within a fluid which is subject to relative internal movement due to different fluid velocities. The physical design and flow rate of the air sampler greatly influences the Reynolds Number. For impaction technology, air samplers with a Reynolds Number between 500 and 3,000 are best suited.1 (This science is also applied to isokinetic sampling of particles using isokinetic probes). 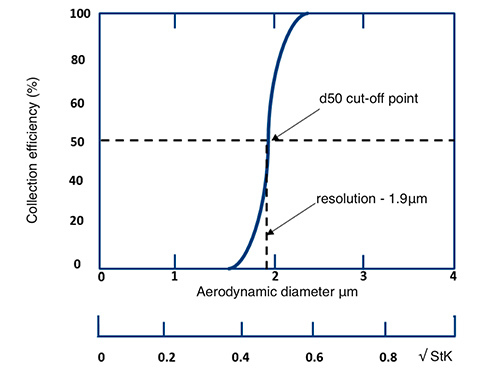 This article provides a reminder that air samplers can have varying d50s, some as high as 10µm – which means anything below 10µm is not impacted on the media. Try and explain that to an auditor who has firm ISO 14698 and bacteria size knowledge! 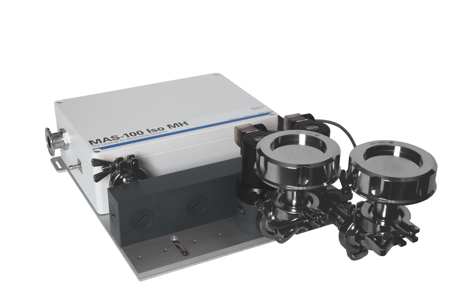 Put in simple terms, the sample head must be capable of effectively capturing particles in the air and maintaining uni-flow (laminar) conditions between the sample head and the media where the particles impact. Smaller particles are subject to airflow and larger particles maintain their flight path due to higher inertia. The d50 is the point where 50% of the smallest size particles impact on the media, in other words it is really the resolution of the impactor as the other 50% of these smaller particles will follow the airflow and not impact on the media. The same holds true for remote sampling heads used in automated systems for continuous monitoring where a remote vacuum source is controlled using mass flow meters for volume control. Fig.4 provides more detail on the impaction technology and collection efficiency of a remote air sampler. The ISO5 Classification tables in Table 1 show that very tight limits are set for viable particles, effectively expecting an average of zero CFUs over a 1000L of air sampled. It is critical that the portable or remote air sampler device used for sampling has been carefully selected. 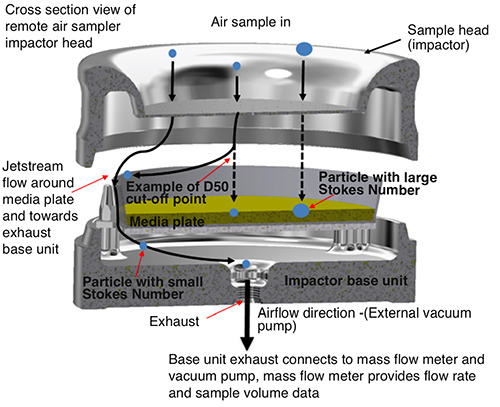 ISO 14698 Part 1 Annex A part A.3.4.2 recommends the air sampler impact velocity being high enough to allow the entrapment of viable particles down to approximately 1µm and being low enough to ensure viability of viable particles as well has having a filtered exhaust. 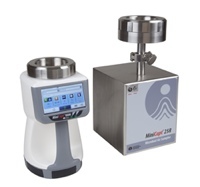 Following cGMP and ISO 14644-1, the recommended selection criteria below can be used as a guide in selecting an appropriate portable air sampler or automated air sampling system, while keeping in mind that faster flow rate models do not indicate better collection efficiencies, the key factor is the d50. In addition, the criteria for active air sampling in sterile applications is for continuous monitoring during that process. Media can dry out faster under higher flow rates which requires more media plate changes. William C. Hinds. Aerosol Technology – Properties, Behaviour and Measurement of Airborne Particles, 2nd Edn. (1999), John Wiley & Sons. S. K. Metha, S.K. Mishra and D. L. Pierson, (1996) Appl. Environ. Microbiol, (May) 62 (5) 1835-1838. M. Yao and G. Mainelis, (2006) Aerosol Science and Technology, 40 595-606. W. Whyte, C. Green and A. Albisu, (2007) J. of Aerosol Science, 38 (1) 97-110. FDA published 483 Warning letters.